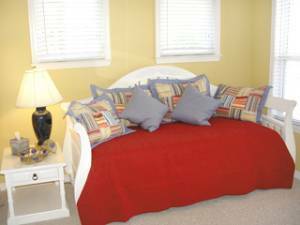 New vacation cottage, decorated by a professional interior designer with upscale furnishings and special features. In a style described by the Wall Street Journal as “Cracker Chic”, this property is one of 75 Florida cottage-style homes nestled in the community of 'Old Florida Village' on Scenic Highway 30-A. 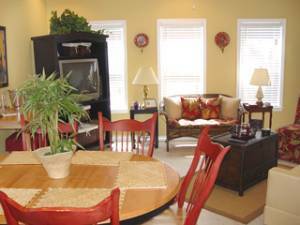 1st FLOOR: Spacious open floor plan – the Living Room opens to the Dining and Kitchen areas. 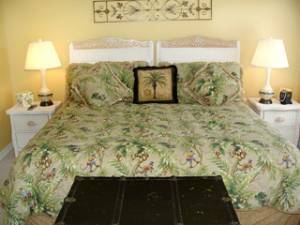 A guest bedroom with a King size Trundle Day Bed is conveniently located on the main level along with an adjacent full bath. 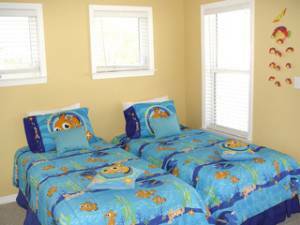 2nd FLOOR: Master bedroom w/ King & Private Bath, Guest Room with 2 Twin beds, Hall Bath. 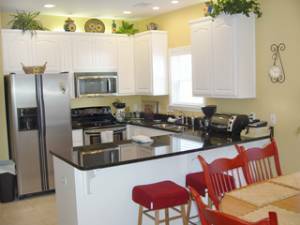 SPECIAL FEATURES: Premium Location within the neighborhood - Granite counter tops - Stainless Steel Appliances. 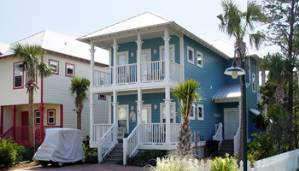 'Old Florida Village' is ideally situated within a quarter mile of 2 public beach accesses with clean public facilities and plenty of parking. 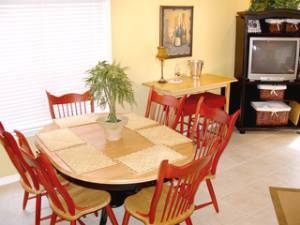 A wide variety of upscale yet casual shopping and dining is within walking distance. Enjoy free evening concerts in the park at 'The Shops of Gulf Place' during the summer season. Call for Monthly Specials for Fall and Winter!